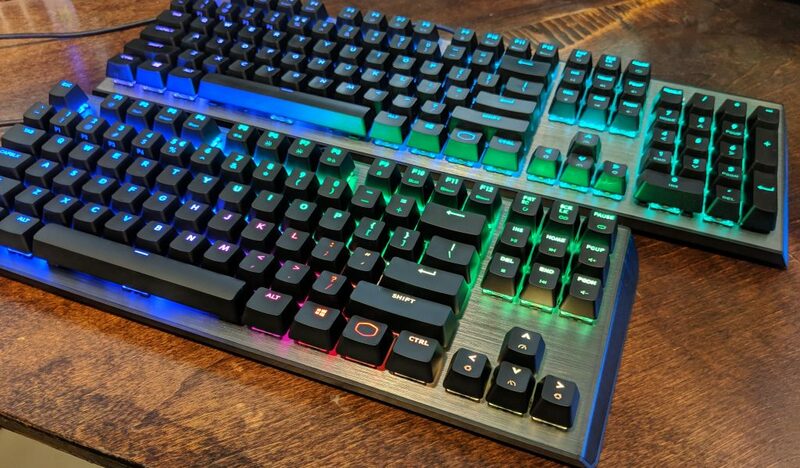 A bit of diversity has been added to Cooler Master’s CK lineup of mechanical gaming keyboards as of late. 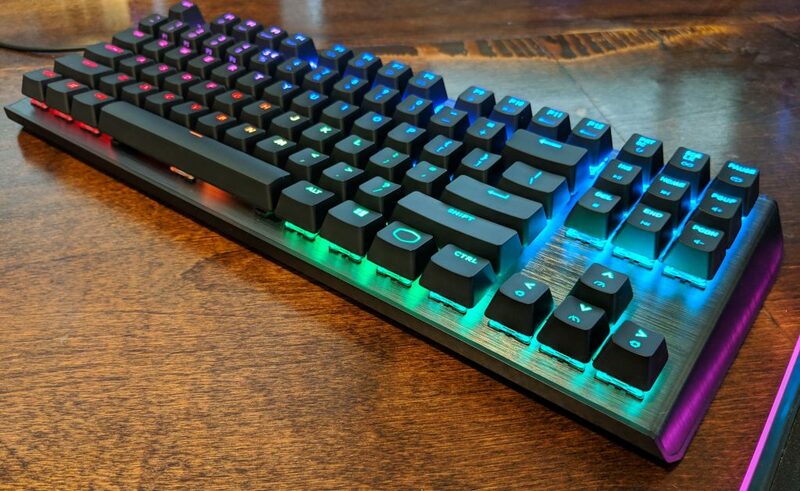 If this keyboard looks familiar, it should because in this review we’ll be taking an in depth look at the new Cooler Master CK530 which is basically a tenkeyless version of the CK550 we reviewed last year. 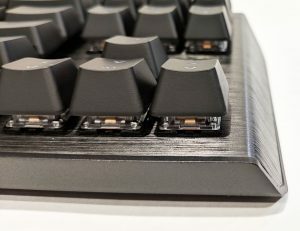 While the keyboards are quite similar in appearance, there are a few minor changes that might be overlooked that are definitely worth mentioning. One commonality we’ve seen in the past is the use of Gateron switches rather than the tried and tested Cherry MX switches. 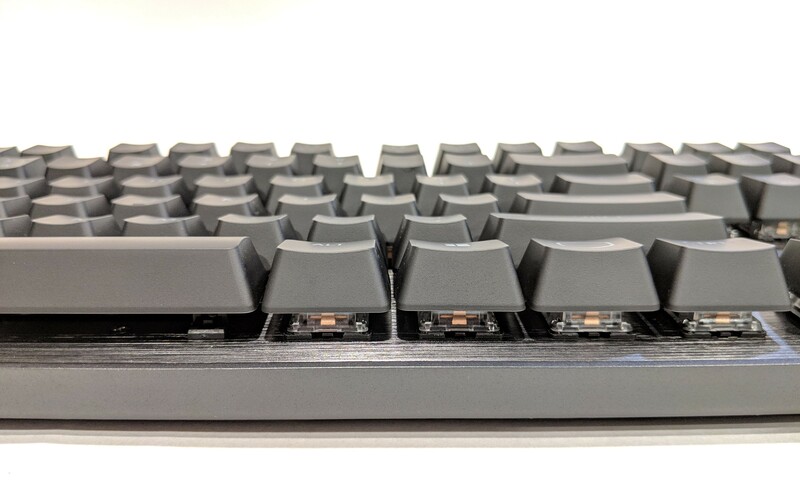 In our review of the CK550, we had absolutely no issues at all with the Gateron switches. 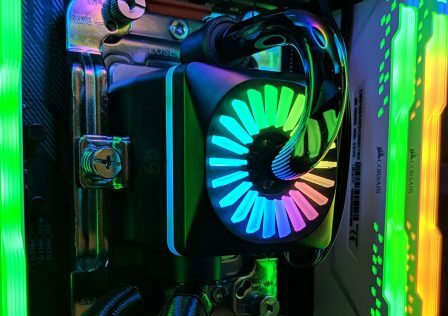 They performed well and the included RGB LEDs were bright and vibrant. 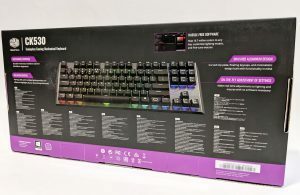 The Cooler Master CK530 is available with Blue, Brown or Red switch types, each with a different tactile feel and actuation pressure. In this review we’ll be taking a look at a Gateron Blue equipped CK530. 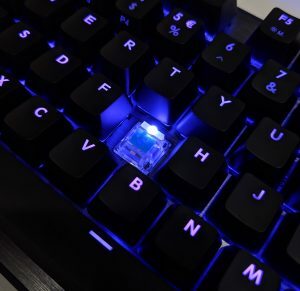 Blue switches feature a strong tactile “click” and a lighter actuation pressure. Typically Blue switches are ideal for typing over gaming but from what I’ve experienced in the past 90% of it is user preference. 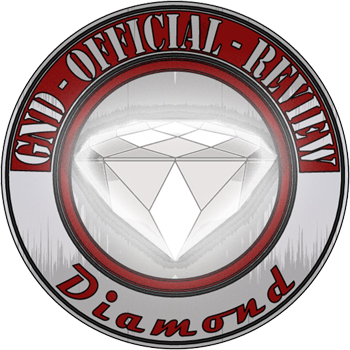 Alright, enough talk… Let’s dig into the review! As we mentioned earlier the CK530 features Gateron mechanical switches in either Red, Blue or Black color variants allowing the user to customize their keyboard to their preferred key feel. 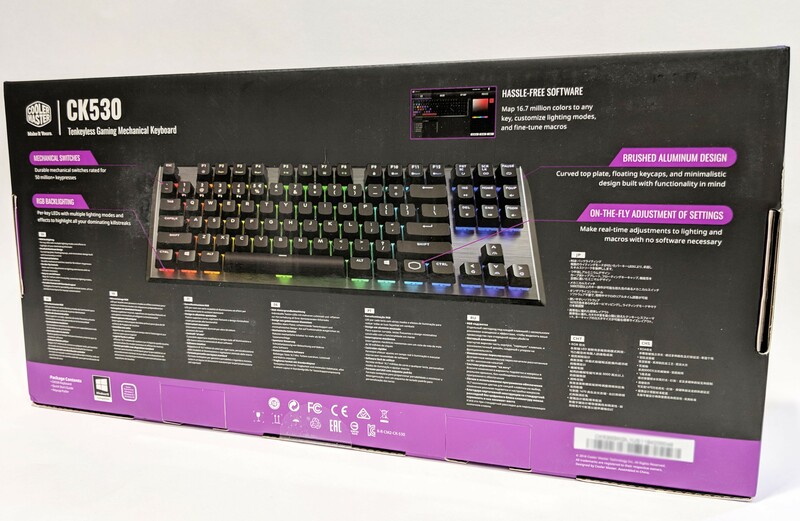 The keyboard includes full RGB support for individual key lighting controls which is managed either by key combos, or using Cooler Master’s Portal software which can be downloaded directly from its website. 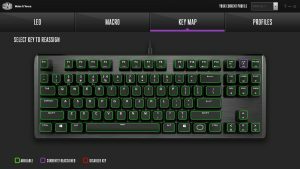 The tenkeyless design is typically preferred by gamers as the tenkey pad is all but useless in games. 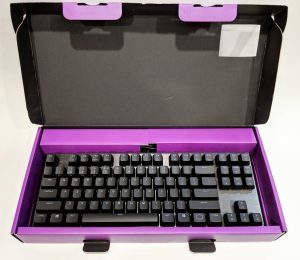 Another added benefit is the overall reduced size which frees up a bit of desk space and better centers the keyboard with the monitor. And of course, another added benefit is the slightly reduced cost! 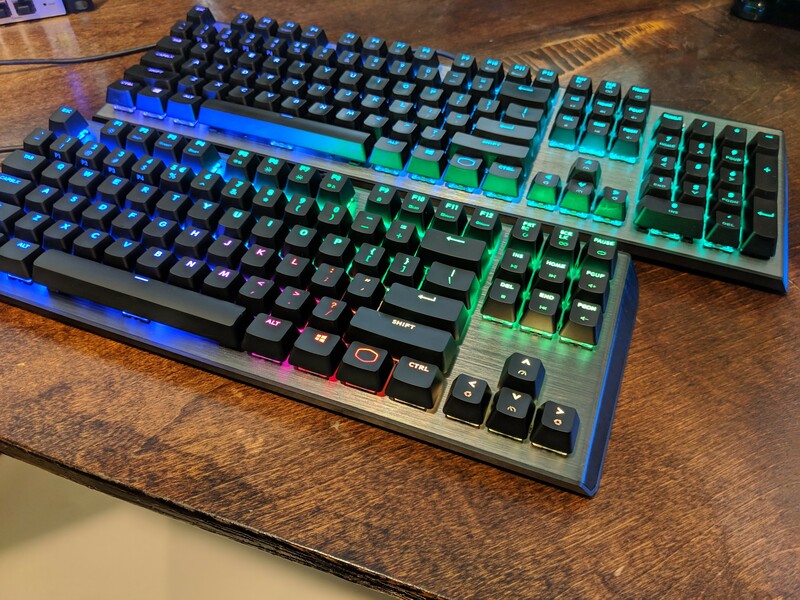 Lately, Cooler Master has adopted the brushed aluminum color scheme into its current keyboard lineup in which I’m definitely a fan. 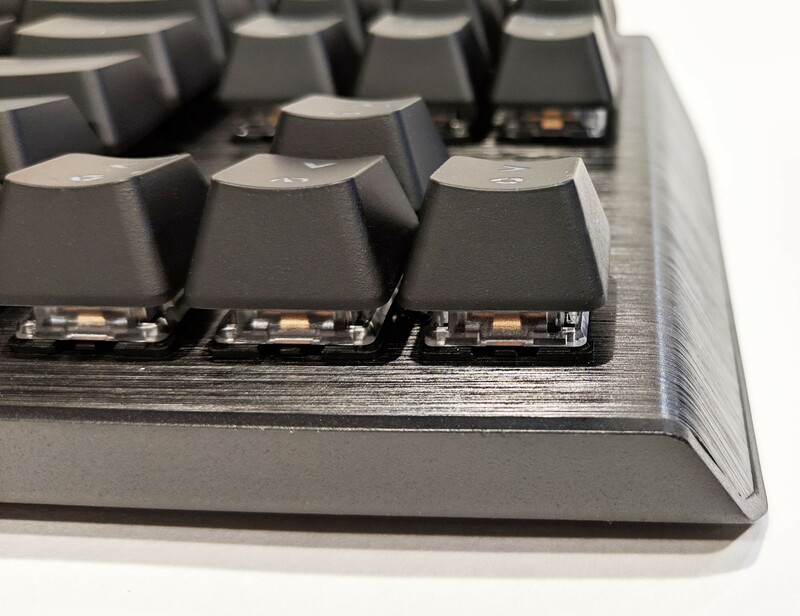 The CK530 is no exception as it features a brushed aluminum design with surface mounted keys and switches. As we really enjoyed testing and reviewing the CK550, we expect only good vibes emitting from the CK530. Next up, let’s begin the review by first taking a look at the packaging! The Cooler Master CK530 arrived at GND-Tech HQ in perfect health and completely unscathed. 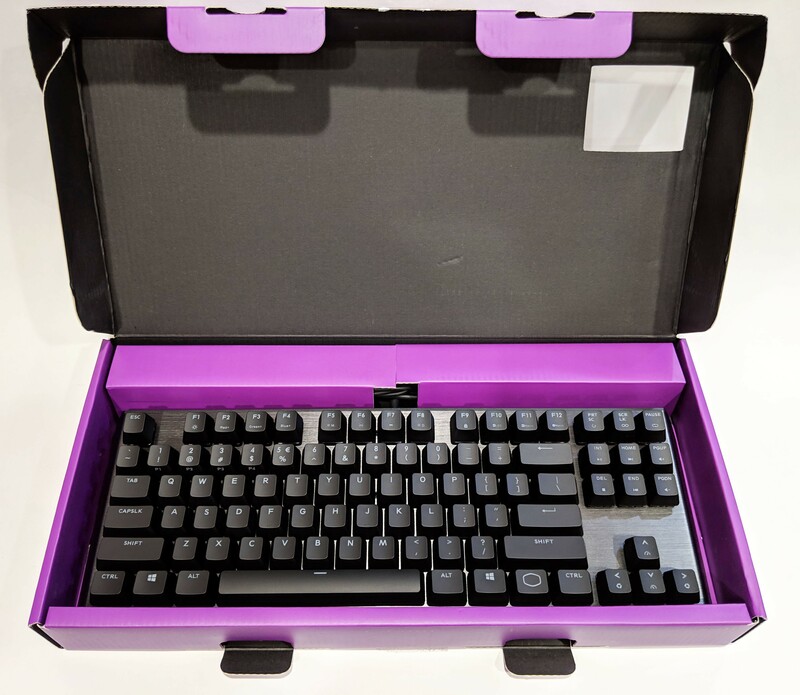 The box features the traditional black and purple Cooler Master color scheme with keyboard graphics clearly depicted. The top right of the box presents the switch type and color so you’ll know exactly what you’re getting. To further reinforce the switch type, Cooler Master added a small demo port at the bottom left to let you try before you buy. The back of the box presents a few more details such as RGB color effects, aluminum surface, and highlights software support. Upon cracking open the seal and opening the box we get a better idea as to how the CK530 is packaged. 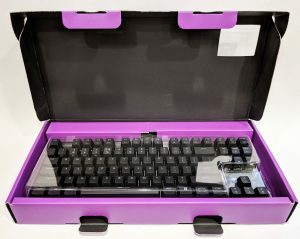 The board is placed in the center with a plastic cage covering the surface to prevent the keys from scuffing and taking damage during shipping. 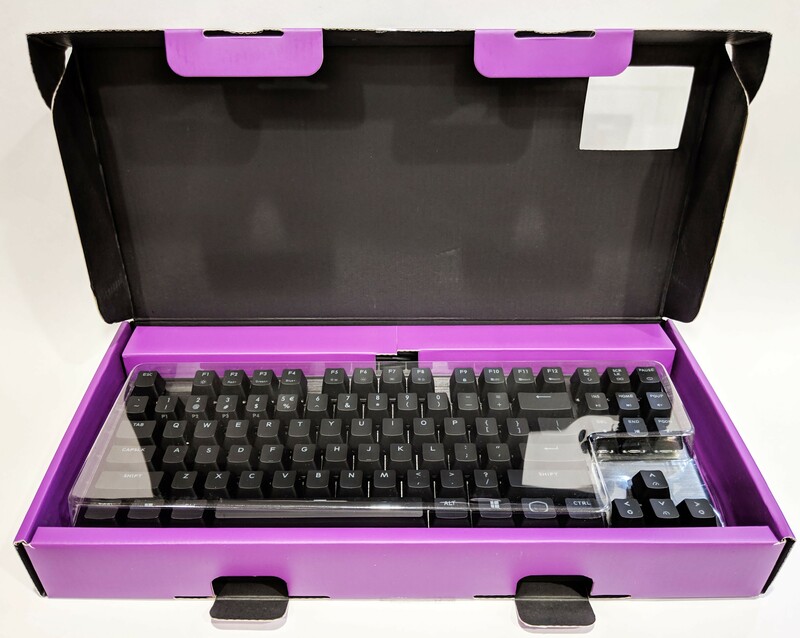 The affixed cable, key puller, and manual are located in the small compartment to the top of the keyboard. With the keyboard removed from its packaging we are able to get a better look. The overall design of the Cooler Master CK530 is quite simple and stealthy (at least with the RGB lighting off). With no RGB effects on, the key markings are still easily seen which isn’t always the case from what we’ve seen. So just like the CK550, still loving the looks. 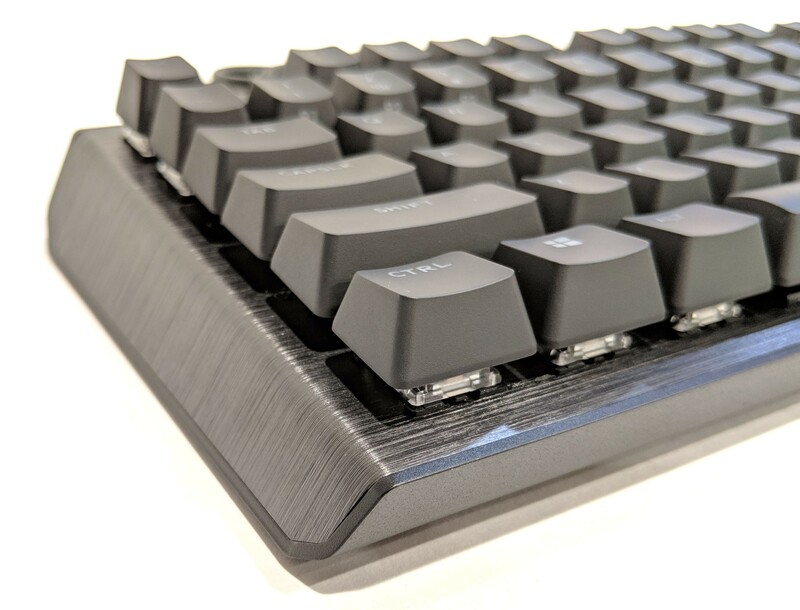 The overall design consists of a slightly inclined surface angled towards the user with top mounted switches and keys. 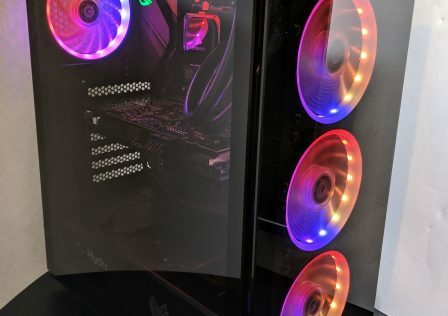 If the incline is not steep enough, Cooler Master did add some expandable rear feet which can be used to increase the angle. Rather than the keys recessed inside the frame the surface mounted keys appear to pop out. This is advantageous for several reasons. First, the keyboard is much easier to clean as there is less space for dirt and dust to hide. Second, of course this is a matter of preference, but to me surface mounted keys look cleaner, especially with a flat aluminum surface. 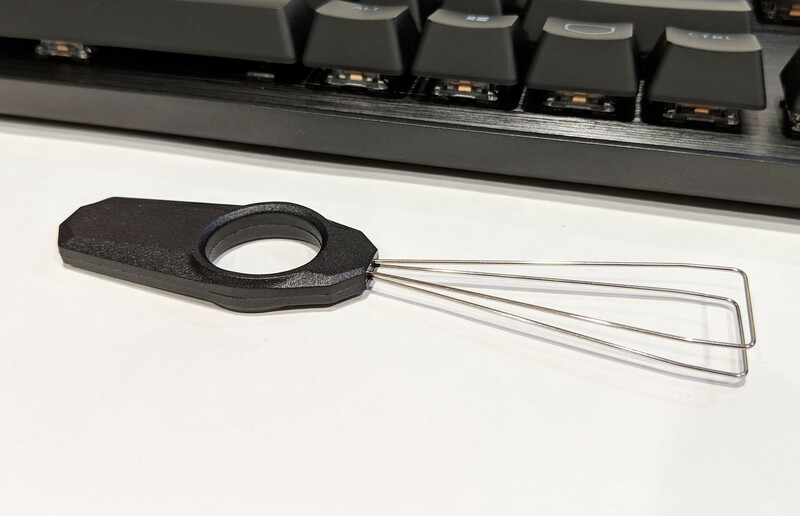 Included with the keyboard is a wire key puller. To remove a key, simply feed the two wire sides on opposite sides of the chosen key until the two halves rest underneat the key. Then simply give the key puller a tug with the other hand bracing the keyboard. The cable which connects to the PC connects is permanently affixed to the back center area of the keyboard. Unfortunately, unlike the SK650 and the MK730, the cable is not braided and unable to be detached. 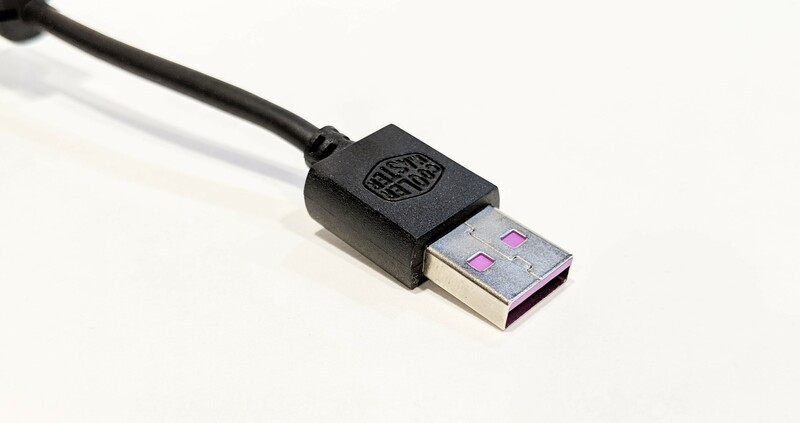 At the opposite end is a Cooler Master branded and themed USB 2.0 Type-A connector which plugs into the PC. Speaking of cables, let’s now plug this bad boy in and take a look at the R G Beees! With the cable attached and the Cooler Master CK530 powered on, we are greeted with a brilliant display of Cooler Master-themed purple. The lighting is quite bright overall. The LEDs have no issue shining through the key letters and symbols. The reflective silver surface of the brushed aluminum does a good job at catching and reflecting the ambient light which gives off good in-between key ambient lighting. 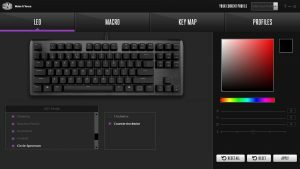 While the software is not required to use the Cooler Master CK530 gaming keyboard, it is definitely recommended for several reasons. For one, there may be important firmware updates provided by Cooler Master. Firmware checks and updates are handled directly through the software. These could include functionality patches or bug fixes. We at GND-Tech always recommend to upgrade the firmware if an upgrade is available just for this reason. 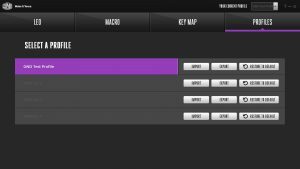 Secondly, it makes configuring profiles and customizing the RGB LEDs much easier. If you don’t like extra software running on your PC, at the very least install the software to apply firmware updates and then uninstall. The software is overall quite intuitive amazingly simple to use. 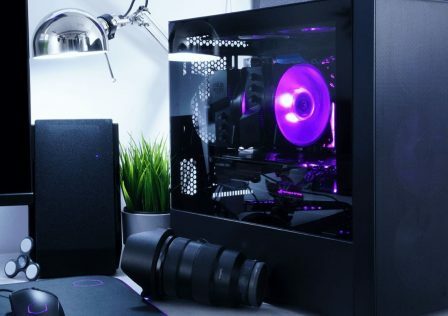 To begin, start by downloading the Cooler Master Portal which can be found over at Cooler Master’s Website. 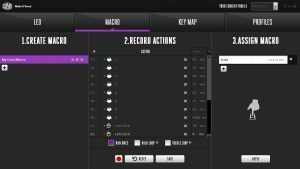 Once downloaded and installed the Cooler Master Portal automatically detects and lists all of your connected CM devices and the list. 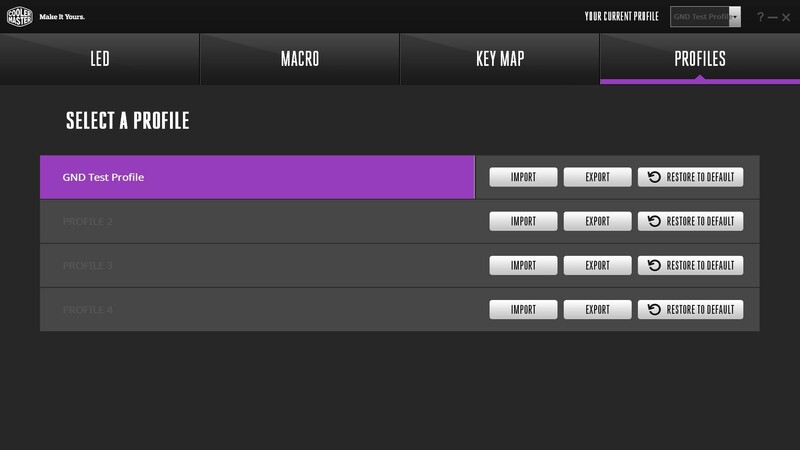 Once the device is selected, you’re able to install and start the software for each device individually. 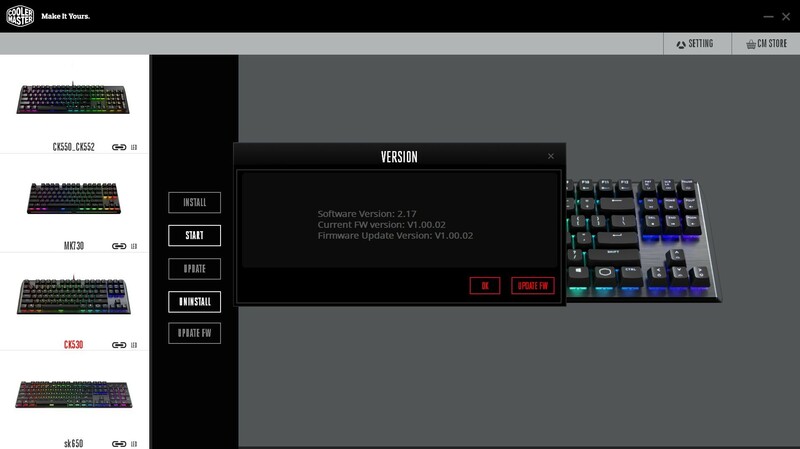 Additionally, it installs firmware updates prior to the software launching for the first time. 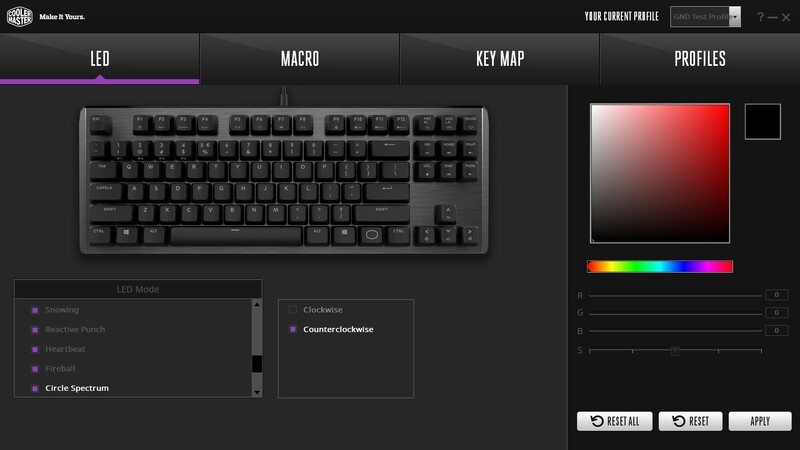 Note: The “FN” key referenced is the Cooler Master logo key located in between the right Windows and Ctrl key. 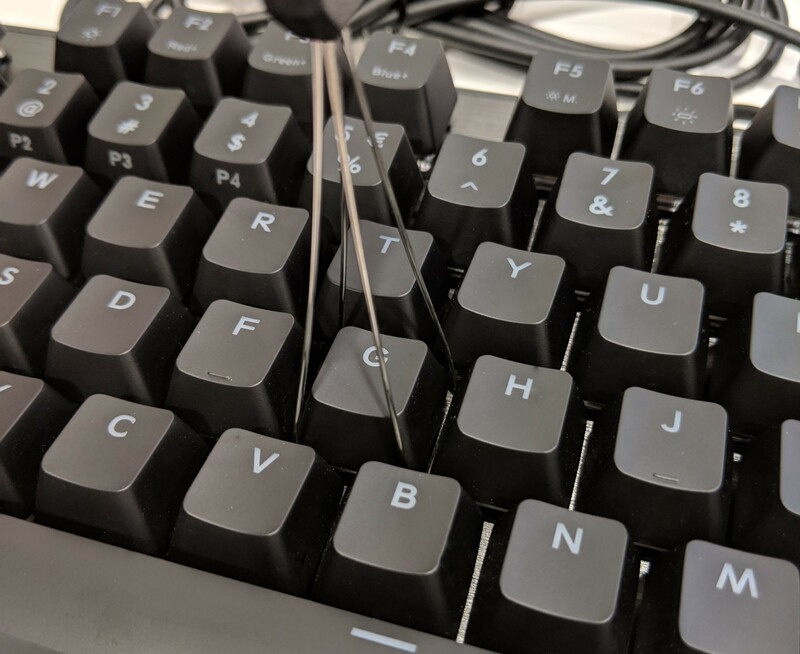 When it comes to mechanical keyboards in general, they are pretty much the only option gamers are looking at these days. 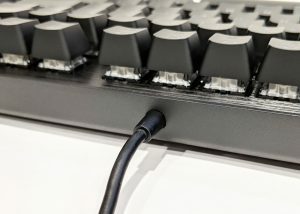 While the technology has been pretty much mainstream over the past 10 years, there’s still a lot of variation preference between different switch types (or colors), especially when you throw different manufacturers in to the mix such as Gateron versus Cherry MX. 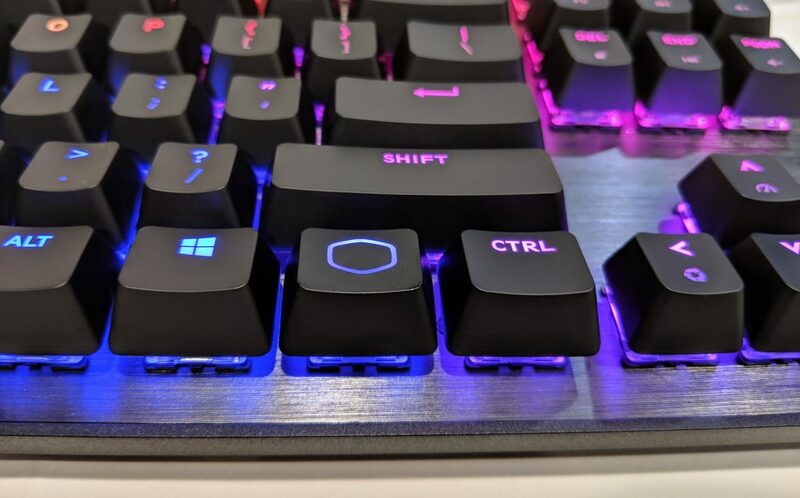 For more information on the different keytypes, check out Jester’s mechanical keyboard guide over in the forums. 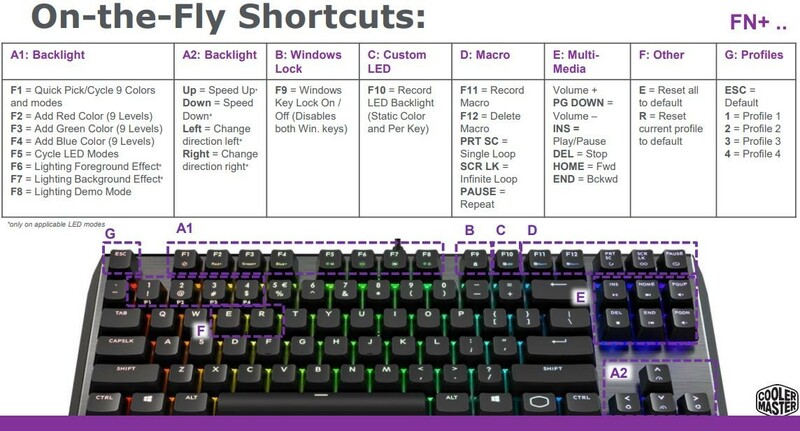 The guide references Cherry MX switches, however the color types translate the same to Gateron switches. Comfort & Ease of use – The keyboard is naturally tall likely due to the surface mounted keys. It’s possible that over time you might experience some strain from having to constantly hover or lift your fingers a bit higher than their use to. I definitely recommend using a wrist wrest. 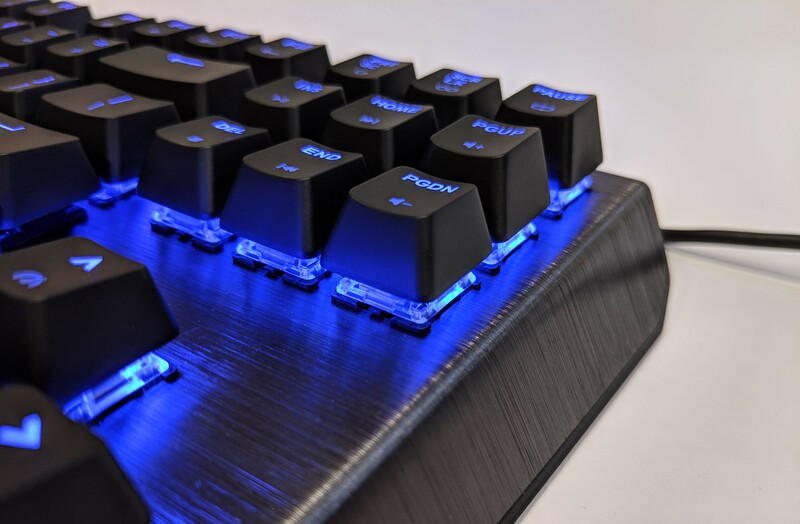 Performance – When it comes to gaming, the performance you get simply because the CK530 is a full mechanical keyboard is definitely present. Actions were quick and precise. 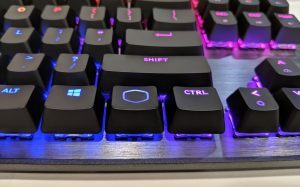 My only gripe is the clickiness of the keys while gaming. Blue switches are one of the loudest and present the most tactile feel compared to Brown switches. Because of this, you’ll get more noise. If you game using a headset, there’s no issue. This was as many keys as I could possible press while taking a screenshot with my face. 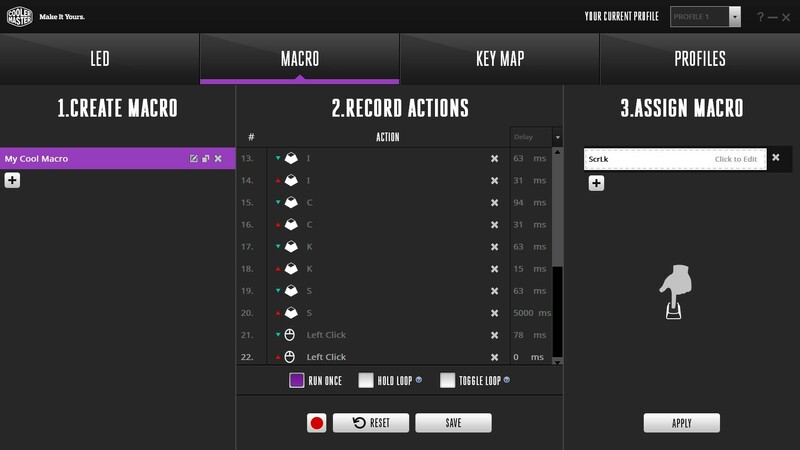 As you can see, the software picked up 58 simultaneous key presses proving that NKRO did its job. The Cooler Master CK530 is the perfect choice for the PC gamer who doesn’t require a 10-key. The keyboard is well built, looks great and costs a bit less than its big brother the CK550. 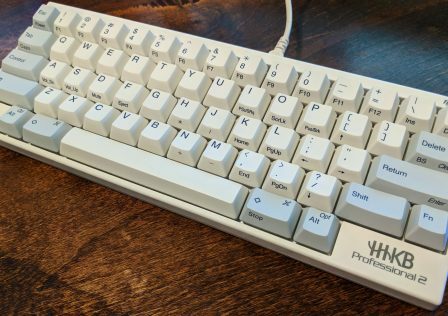 While we didn’t have very many gripes about the CK550 in our original review, the same goes with this keyboard. There’s no doubt that the CK530 would make an excellent gaming companion through years of use. 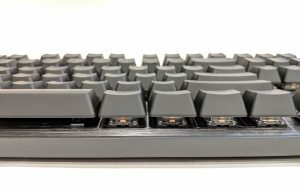 Construction: 9.2/10 – The keyboard is absolutely well built, no doubt about it. It’s got some heft to its weight which adds to the solid feel you’ll notice while handling it. This should also prevent it from sliding around on the desk. 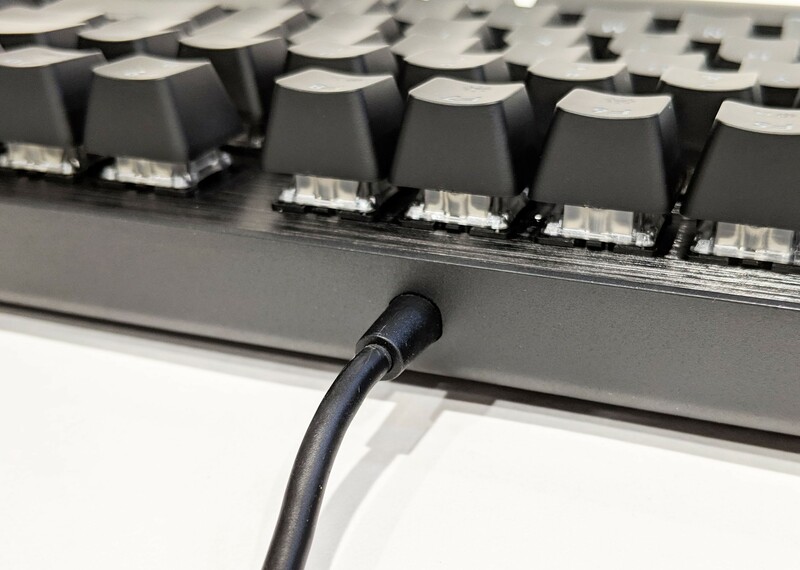 The metal construction with surface mounted keys should hold up for years of gaming. 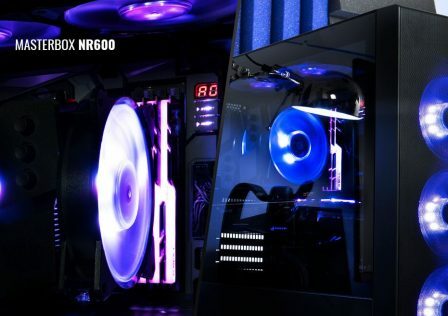 In case it doens’t, Cooler Master offers a 2-year warranty on the unit. Performance: 9.6/10 – There’s really not a lot of negatives here. My only gripe is that as the keyboard sits kind of high, you might want a wrist rest to reduce fatigue. 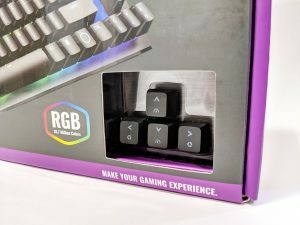 During gaming, and typing out this entire review, the keyboard performed well. Additionally, the included software adds a whole other layer of fun just playing around with lighting options. Appearance: 9.6/10 – They CK530 looks fantastic. 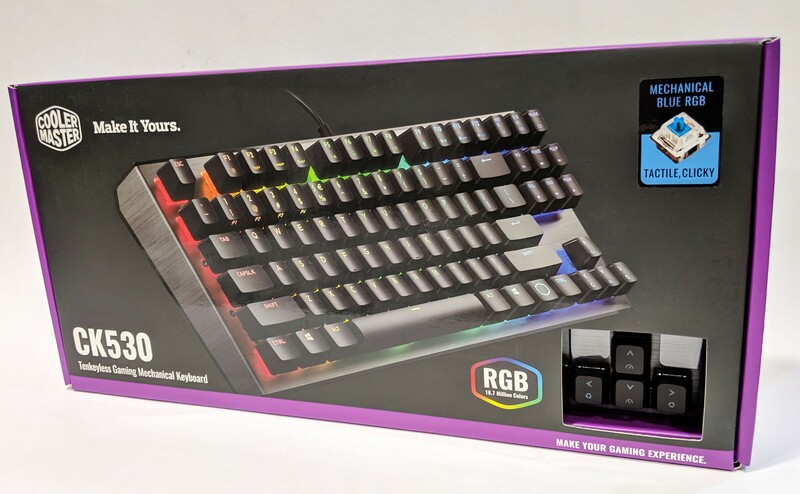 I’m really liking the direction that Cooler Master is going with its keyboards. 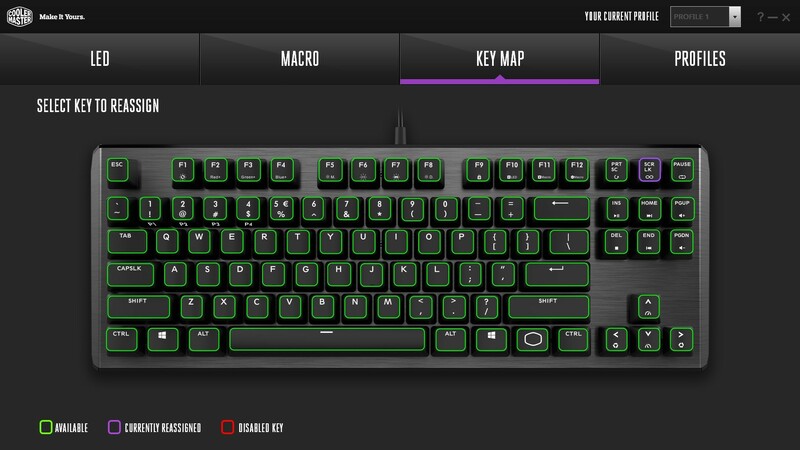 The Brushed metal on dark keys look great and when you apply the LEDs, the game changes even more for the better. Value: 9.0/10 – MSRP for the Cooler Master CK530 is set at $69.99 USD which puts it in the lower to mid price range. 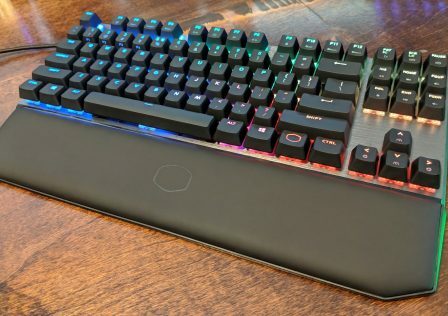 For a keyboard that performs this well and looks as good, I’d say that the price is spot on! "The CK530 is well built, looks great and costs a bit less than its big brother the CK550."